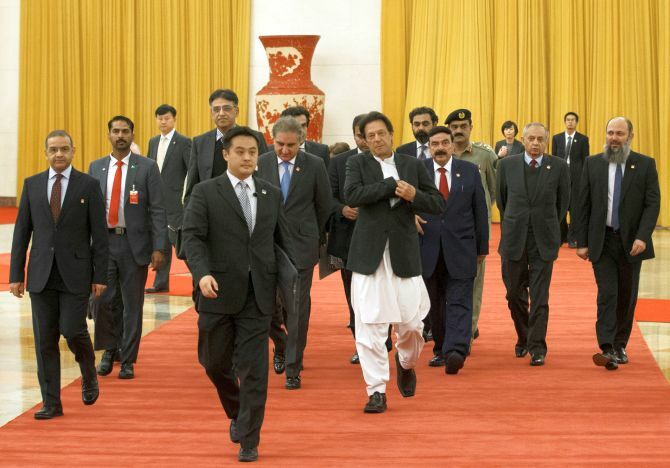 Khan's visit evoked considerable interest in China as it comes in the wake of his past criticism of the USD 50 billion China-Pakistan Economic Corridor projects and remarks by his ministers to cut down some of the projects over debt concern. 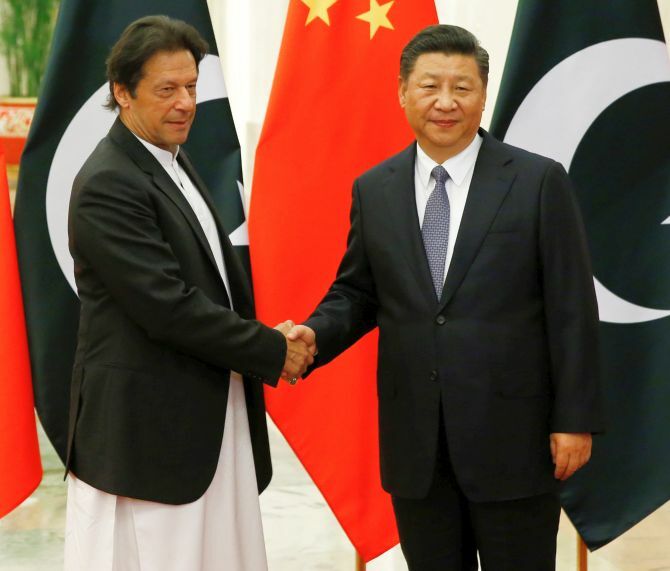 China on Friday reportedly agreed to provide USD 6 billion in aid to cash-strapped Pakistan to minimise its dependence on an International Monetary Fund bailout package as Prime Minister Imran Khan on a maiden visit in Beijing held talks with Chinese President Xi Jinping. Khan, who arrived in Beijing in the early hours on Friday on a four-day visit, met Xi in the Great Hall of People where the two leaders also held one-on-one meeting besides delegation-level talks, Pakistan media reports said. Pakistan is expected to receive USD 6 billion economic package from China during the visit, Pakistan's Geo TV reported. A loan of USD 1.5 billion is also expected to be offered, along with an additional package of USD 3 billion for the China-Pakistan Economic Corridor, the report said. The loan and the investments were reportedly part of the USD 6 billion package. There is no official comment from Beijing yet on the report. This is the second USD 6 billion package which Khan has managed to obtain in the last few weeks as Pakistan reeled under severe financial crisis. Earlier during his visit to Saudi Arabia, Riyadh committed USD 6 billion funding which included USD 3 billion deferred payment for oil imports. Pakistan Finance Minister Asad Umar, who is accompanying Khan, earlier told media in Islamabad that his government's strategy was to seek loans from multiple sources instead of asking the alone to plug the entire gap in the country's financing needs. Khan's visit to China will provide an "opportunity" for the two countries to open a "new chapter" of bilateral relations "under the new circumstances," Chinese Foreign Ministry spokesman Lu Kang said on Monday. The cricketer-turned-politician, during his first visit to China, is also expected to seek more Chinese loans to avoid approaching International Monetary Fund for a bailout package. Pakistan has already approached the IMF but is concerned about the stringent conditions the international lender may impose specially to scrutinise the CPEC projects. For its part, China is also concerned about critical remarks made by ministers from Khan's Cabinet. Apart from Umar, Khan was accompanied by Foreign Minister Shah Mehmood Qureshi, Advisor on Commerce and Trade Abdul Razzak Dawood, Railways Minister Sheikh Rasheed among others. While Dawood told the Financial Times that some of the agreements were unfair to Pakistani companies and should be put on hold for a year, Rashid said that Pakistan wants to cut the size of the USD eight billion Karachi-Peshawar rail line, the biggest project of the CPEC, by USD two billion. The statements evoked serious concerns in China as the CPEC is the flagship project of Xi's pet project multi-billion-dollar Belt and Road Initiative. Khan, however, assured his support to the CPEC when Chinese State Councillor and Foreign Minister Wang Yi visited Islamabad in September. China also agreed to address his concerns that the CPEC projects were mainly benefitting the dominant Punjab region and the new projects will focus on the western region of Balochistan and Khyber Pakhtunkhwa. From Beijing's point of view, Pakistan's criticism of the project was a shocker, specially after China's takeover of Sri Lanka's Hambantota port on a 99-year lease as debt swap. China is concerned over cash-strapped Pakistan's plans to approach the IMF for a bailout package amid assertions by the global lender officials to scrutinise the CPEC loans. Beijing is also uncomfortable over Pakistan roping in Saudi Arabia to invest in Balochistan bordering Iran. The province is key to the CPEC as it terminates at the strategic Gwadar port. The CPEC connects China's Xinjiang province with Gwadar through a rail, road and pipeline network. China do not want the CPEC projects to get caught in the Saudi-Iran rivalry. For its part, China has been giving a top billing for Khan's visit and vehemently deny the debt concerns. 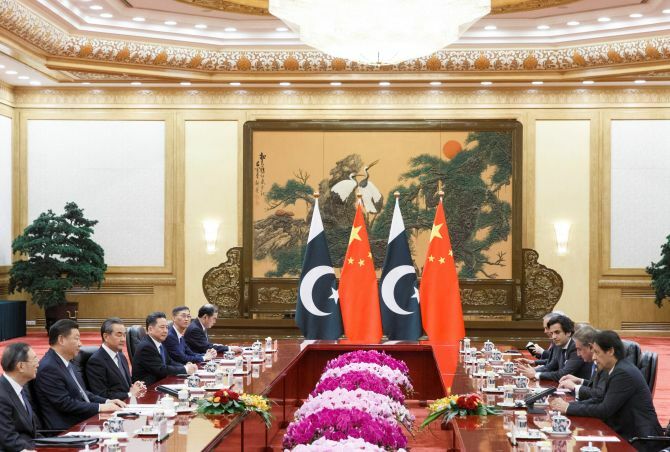 Lu also refuted criticism that the CPEC is causing financial and debt problems for Pakistan, saying Islamabad has already made it clear that debts incurred by the CPEC only account for a very small portion of Pakistan's total debts and is not a reason why the country is experiencing financial difficulties. Who benefits from the Sino-Pakistan corridor?